It is a funny coincidence that the clip I found to illustrate the south side of Bramall Lane during a match featured Chelsea as the visitors. During the early 1980’s Chelsea’s Stamford Bridge, built as an athletics venue and rarely if ever used for cricket, hosted the first floodlight competitive cricket match in Britain between Essex and West Indies. The event was deemed a success in spite of the narrow confines of the ground. Further efforts at playing cricket in football grounds weren’t as successful and the novelty wore off but Stamford Bridge holds a place in the British Cricket record books. Top level clubs rarely have to share their grounds with other groups in the modern era. West Ham United’s move to a multi-use ground hasn’t gone as well as the club had hoped and while Stamford Bridge used to host dog racing I don’t think there are any plans to make accommodation for a track in the new ground. 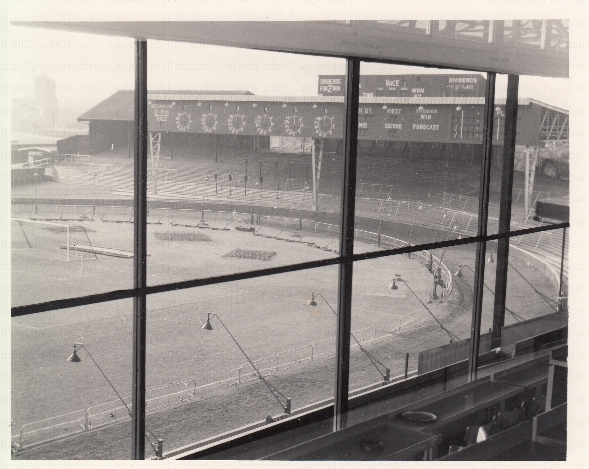 Throughout our collection there are photos of grounds that have dog and/or speedway tracks, for some grounds the racing events were more profitable than the football. 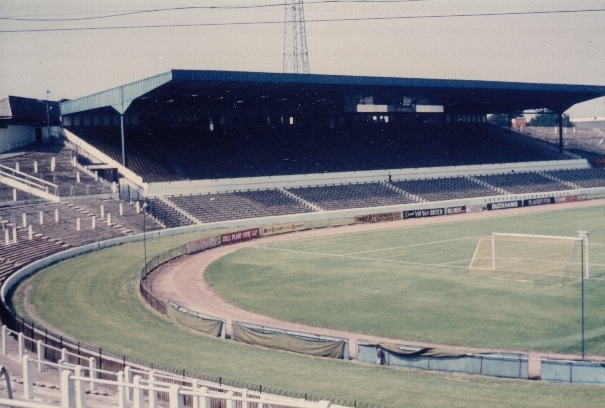 Bristol Rovers had originally introduced greyhound racing to their Eastville Stadium in 1928 and eleven years later the Bristol Greyhound Company were in a position to purchase the ground and become landlords to the football club. This arrangement continued until 1986 when Bristol Rovers were forced to look for a new home. The ground continued as a greyhound racing venue until 1997 and was demolished the following year. Another club that experimented with increasing revenue by adding a track was Barrow FC in 1972 at their Holker Street ground, when they were in Fourth Division. The club was in dire financial straights and the chairman decided to bring motorcycle racing in the form of speedway to the ground. There had been a brief experiment with speedway at the ground in 1930 but ended, probably because the venue was too small. Determined to make things work the club went ahead, three stands lost their front rows while one end was removed entirely but this still didn’t create enough room so the pitch was dug up to accommodate the track. 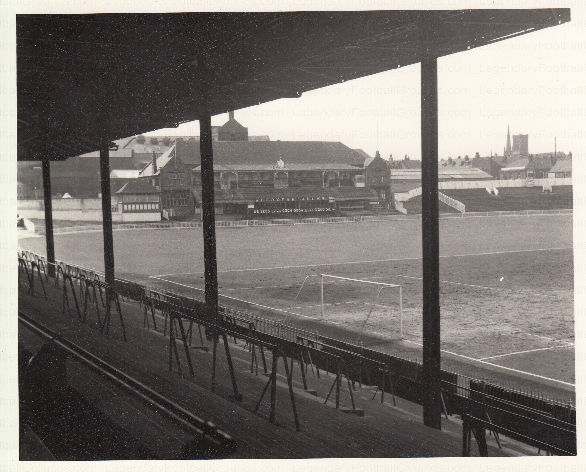 This didn’t sit well with the FA but the club had a solution: they would lay boards over the bits of track that encroached on the pitch and cover those with grass sod. Opposing teams and players from the club bemoaned the terrible conditions of the the pitch, which must have been horrific given the state of pitches in the First Division in 1972. Barrow had a terrible season, finishing low enough to apply for reelection to the league and they lost the vote of the other clubs and they haven’t returned since. Some sources believe that the disregard for their own pitch was the root of Barrow’s shock drop from the ranks and as it turned out the days of speedway at Holker Street ended in 1974.